TO SCHEDULE WITH NELSON AND HIS REPUTABLE TECHNICIANS TODAY! Offering the best heating, ventilation, and air conditioning service in the Washington, DC metro area. You as our customer and the air you breathe indoors are what matter most to us. Not only does your heating and cooling system control the comfort level of the temperature in your home, but your overall health as well. We want to make sure the quality of the air you breathe is the best it can be for you, your family, your co-workers, and anyone else you may invite inside. Whether you are looking for a regular service plan to maintain your HVAC system throughout the year, need a diagnosis on why it’s not functioning properly, or even need an installation on a new unit for your home or business, we’ve got your back. 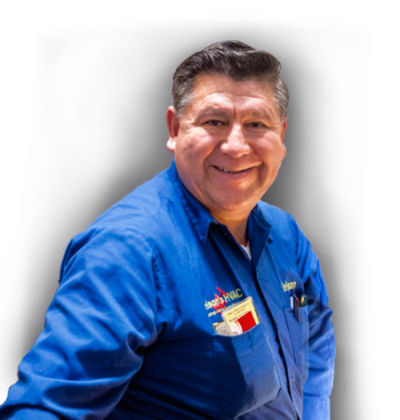 Nelson Revollo has over 21 years of experience in the field and fully backs up the technicians he has hired to work alongside him. We want to be there to keep your commercial or residential system running efficiently and be there to help you when it’s not. Need an HVAC technician you can count on in the greater Northern Virginia, Washington DC, and Maryland areas? Give us a call today! Regular maintenance checks prolong the life of mechanical equipment. We recommend maintenance checks every 6 months to ensure functionality at peak efficiency. We would all love it if our heating and cooling systems worked flawlessly all the time. Unfortunately, due to mechanical malfunction and often lack of maintenance, that doesn't always happen. We'll come out, diagnose the problem, and get you going again before you know it. Maybe it's time for a whole new system. We know how miserable a broken system can make you in extreme temperatures. Let us write up a proposal for you on the equipment and work to be done so we can move you forward toward comfort again. 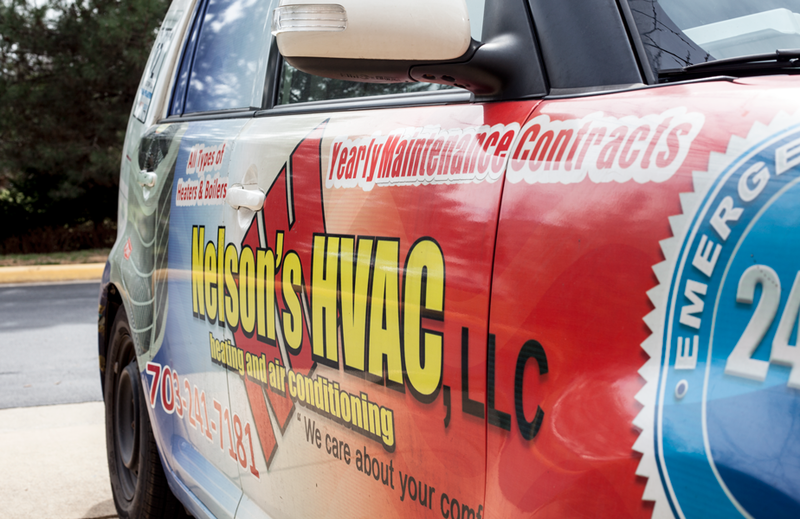 Nelson’s HVAC is insured and licensed in Virginia and Maryland. We provide both commercial and residential services. If you have any questions, our office staff would love to help you out and provide you with any information you are seeking. We look forward to your phone call! "The heating contractor was punctual and did an excellent job of cleaning and tuning up our heat pump and gas furnace. He was at our house for about an hour and a half and completed everything very thoroughly. I would definitely call these guys again for any maintenance or repairs I need in the future." "I am impressed with the professionalism that these guys display. They are highly qualified and reliable, which is why I would like to recommend their services to those who need a to rely on an HVAC expert. Thank you!" "A big thanks to the crew from Nelson's HVAC, LLC. You did a great job for a fair price. We would definitely recommend you. Thanks."